Aesteiron Steels Pvt Ltd, is one of the leading manufacturers & suppliers of Low Alloys High Strength Steels. We are the manufacturer, Trader and Stockist of ASTM PIPES. The offered pipes are designed with the help of supreme quality plastic and advanced techniques in adherence to set industry norms. 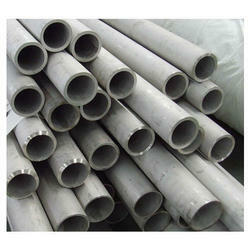 Our offered pipes are widely used in various industries as water supply system. 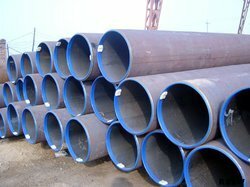 Clients can avail these pipes from us in different specifications of sizes and thickness for our clients with different choices. 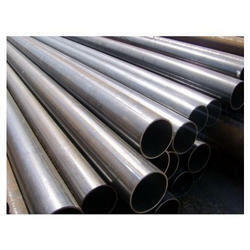 We have emerged as a leading organization engaged in offering a wide range of ERW Pipes to our clients. Precisely manufactured under the able guidance and expertise of our professionals, these pipes are appreciated for their durability, high strength and reliability. 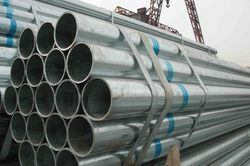 Under the category of steel tubes, we also offer Galvanized Tubes. 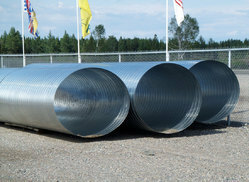 These tubes are manufactured using MS galvanized sheets. Latest technology is used in the fabrication process of these tubes. Our expert quality inspectors also check thee tubes on various parameters. We offer these tubes at market leading prices. Seamless steel come in finishes such as hot rolled, cold drawn, turned, roto-rolled etc. After the end finishing, all pipe is then pressure tested on a machine. Following a final visual inspection, pipe is weighed, measured and stenciled. External coating can then be applied if required. It is involved in the applications for aircraft, missiles, anti-friction bearing, ordnance, etc. Ultra high strength and corrosion-resistant properties makes these perfect for oil & gas industry, chemical industry and car industry. 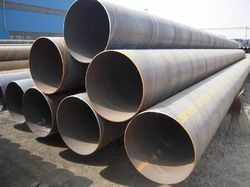 Seamless steel pipes and tube comes in all kinds of sizes including thin, small, precise, slender and other special pipes and are used for steam boilers and pipelines, installations with high and supercritical steam conditions. 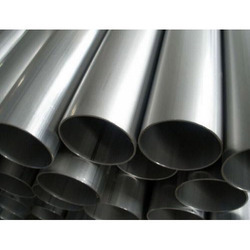 These seamless steel pipes and tubing are manufactured by commercial, electric furnace bearing, consumable, electrode vacuum melted quality steel. These impart strength and durability to the pipes and thus can be used for corrosion-resisting applications. We are engaged in providing an extensive range of Seamless Tubes. It is been manufactured using quality stainless steel in different wall thickness and diameters. Our range of Seamless Tubes finds extensive application in sugar mills & distilleries, pumps & petrochemicals, cement, construction industries and steel plants. We also supply ss tubes, stainless steel tubes and capillary tubes. Further, we can also source our range as per the specifications provided by our clients. 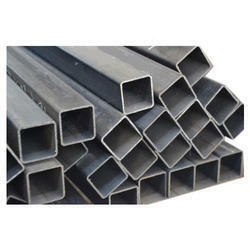 Square Pipes offered can be offered by us in option of different sizes and thickness or as specified by the customers. Some of the areas these find use in include building and construction sector, communication areas and others. 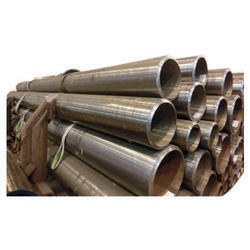 With choice of hot rolled, cold rolled, ERW construction choices, these pipes can also be developed as per the specifications provided by the customers. Some of the other areas these are used in include agricultural machinery, papermaking machinery, electrical equipment, roads and bridges, in construction engineering, in automobile manufacturing among others. ASTM A53 Grade A Square Pipe, ASTM A53 Grade B Square Pipe, ASTM A106 Grade A Square Pipe, ASTM A106 Grade B Square Pipe, ASTM A106 Grade C Square Pipe, ASTM A333 Grade 1 Square Pipe, ASTM A333 Grade 6 Square Pipe. 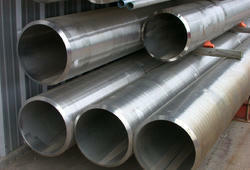 Aesteiron Steels LLP, is Flanged Pipe Suppliers & Stockist. It is generally used for above ground service for water, wastewater, air, oil and other liquids where rigid, restrained joints are needed. It is widely used in water and wastewater treatment plants, in industrial piping systems, and for other interior piping as well as for exterior applications such as bridge and other elevated crossings. The underground use of the flanged joint is generally not recommended due to the rigidity of the joint and as noted in appendices of appropriate ANSI/AWWA standards. 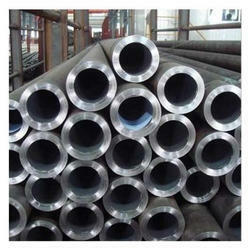 Flanged pipe is essential for a maximum working pressure of at least 250 psi. By using mild steel sourced from leading vendors of the market, we are engaged in the manufacture of premium quality Fabricated MS Pipe. These pipelines are easy to install and are extensively installed for various industrial applications, specifically those involving the transport of liquids, chemicals and gases. These pipelines are sturdy, durable and damage-resistant. Their robust design and sturdy construction makes them highly suitable for rugged use. These rust-resistant pipelines can be easily installed and do not require much maintenance. These are extremely durable. Looking for Low Alloys High Strength Steels ?